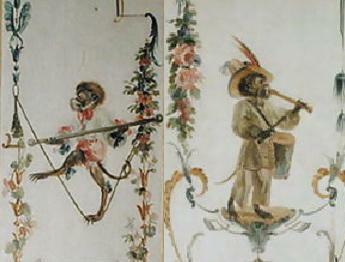 The monkey craze was born out of orientalism, a close relation to chinoiserie, the other craze of the 17th and 18th centuries. Like many aesthetic obsessions of the time, it manifested from western Europe’s fervor for all things exotic and first cemented its mark in France. Today we can thank Claude III Audran, a designer working at the Chateau de Marly, for entertaining us with his notion that monkeys can and should sit around a table just like us humans. Or at least, they should in paintings. This idea of Audran’s was most likely inspired by 17th century aristocrats’ penchant for dressing their pet monkeys in outfits where the monkeys would then perform tricks for the amusement of courtiers at Versailles. Unfortunately Audran’s designs have gone the way of the chateau, but we can the work of his successors. 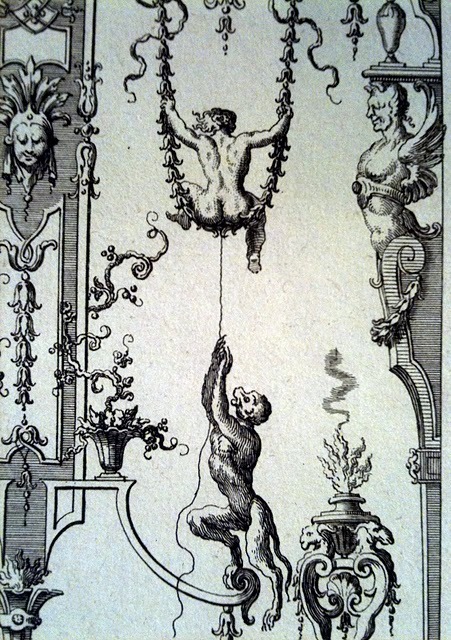 Jean Berain, the Elder, a rococo artist who painted arabesque wall decorations f0r the Sun King renewed enthusiasm for the style when he added monkeys to his engravings in 1711. I’ll leave it up to you to decipher what business the monkey is up to here. 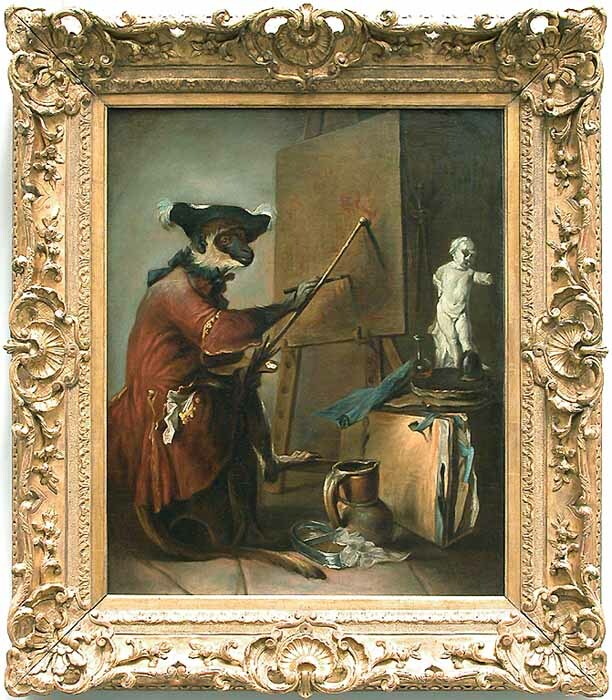 The artist Jean Baptiste Siméon Chardin is a also notable contributor with his singe paintings, the most famous being Le Singe Peintre (below) but many influential artists of the time dabbled in the style, including Antoine Watteau and Nicolas Lancret. The greatest surviving example of a room decorated in the singerie style is located in the Chateau de Chantilly. From 1643 to 1830, it was owned by the Bourbon Condé family, cousins to Louis XIV. For an up close look, visit Le Grand Singerie. The images above are part of the wall paneling. The whole of the room, formerly believed to have been painted by Watteau, is now credited to Christophe Huet. He also painted Le Petit Singerie which functioned as a small room between the apartments of the Duc and Duchesse of Bourbon. 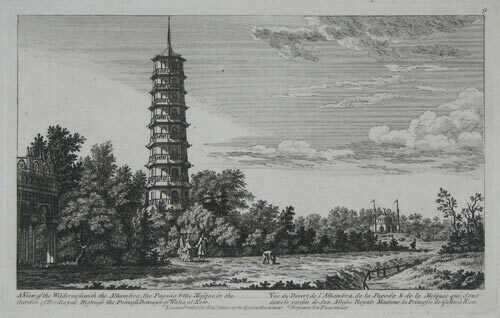 When the Swedish-born Scottish architect Sir William Chambers retired from his trips to China after 1749, he brought with him a resurgence of Chinoiserie, or Chinese-esque design. 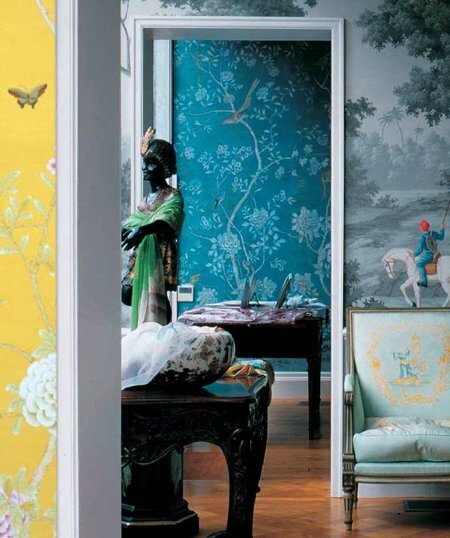 Popular in Europe since the 17th century when the East India companies began trading, Chinoiserie reached its zenith from 1750 to 1765, gracing boudoirs, textiles, and gardens alike. 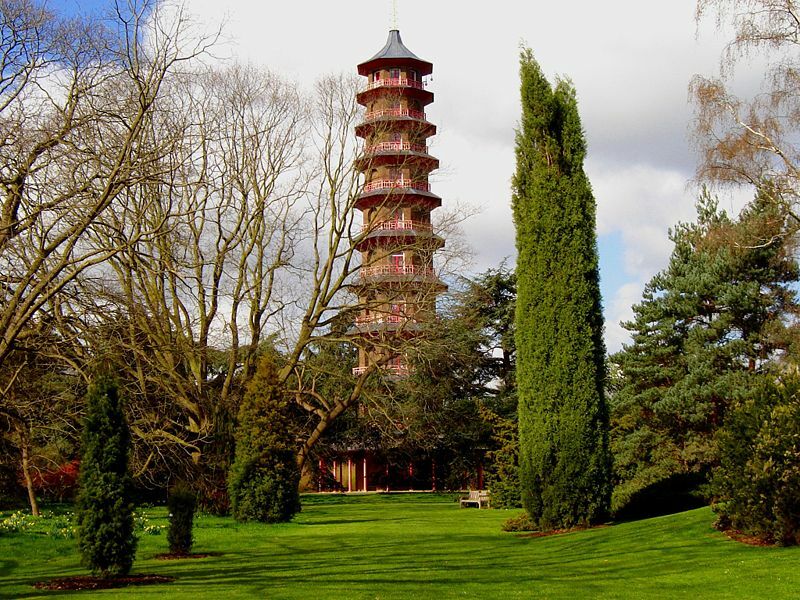 The still standing ten-storyed Pagoda at Kew Gardens, completed by Chambers in 1762, is a longstanding example of Europe’s interest in imitating the Chinese arts. Not quite the colorful splendor it was in its heyday, the pagoda originally boasted a roof of varnished iron plates with a dragon perched at each corner. A total of 80 dragons carved of wood and gilded in gold once adorned the pagoda. None remain today. The fashionable, overcome with the asian craze, decorated their homes with porcelain, silks, and laquerware, adding elements from Chinese fret on staircases, wallpaper, and floors to the marvelous commodes, vases and mirrors of the period. 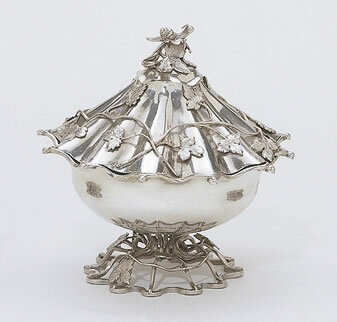 Even everyday objects like sugar bowls were not spared the far east touch. 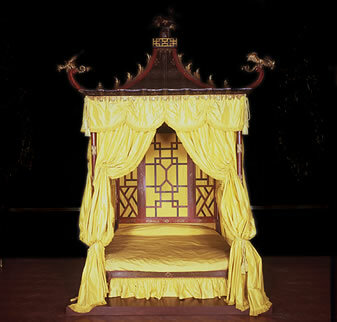 Much of this design, however, was derived from the artist’s internal repertoire, a definite reimagination of the east with a westerner’s unique flair for the Chinese manner. Chinese euro-style, so to speak. As you may have noticed from above, Victoria and Albert Museum have a very nice collection. Definitely worth checking out. 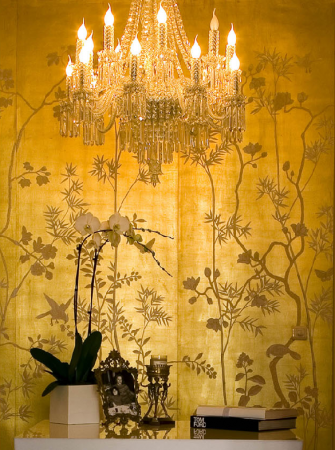 For everything chinoiserie, including a modern spin with an incredibly cute presentation, visit Chinoiserie Chic. Have expensive tastes and a budget to match? 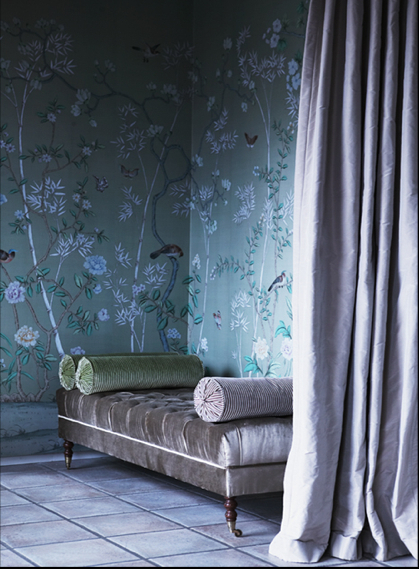 De Gournay manufactures hand-painted Chinoiserie wallpaper reproductions from the 18th-19th century that are positively stunning. 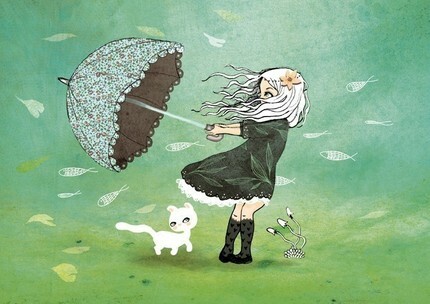 Two little girl art prints by French artist Matilou (Anne Cresci) soon to be in my collection. I spotted the first one months ago and she’s just added the second. Yay! I adore them as a pair. From my brain’s point of view, living amid blue is like taking a pretty little pill. Except, of course, it’s not a drug, at least not in the common sense. Color therapy is amazing because its simple, and as evidenced by anyone who’s spent time around their favorite hue, it works. Even simply gazing at colors changes our emotional reflections. Think about it, or better yet, picture it. 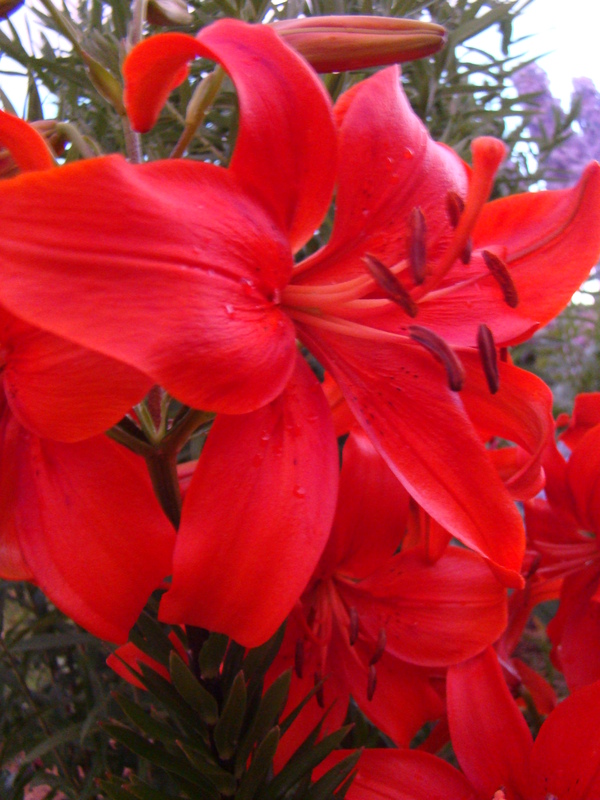 Red, the color of power and excitement, is raw energy, sexual, primitive. According to a study by the University of Rochester, women who wear scarlet are more likely to be asked out on a date. How easy is that, right? 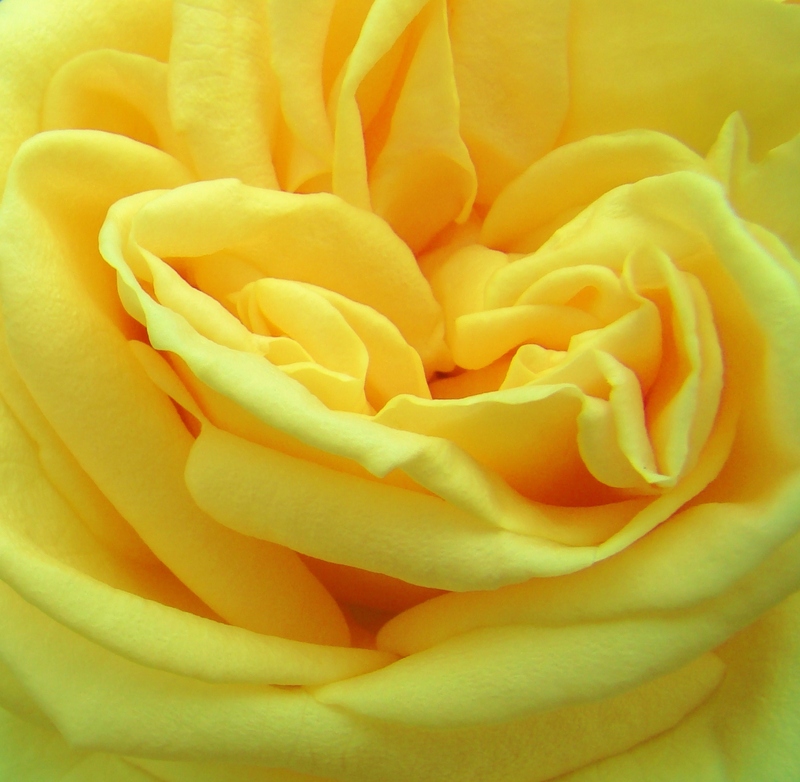 Yellow, on the other hand, conjures up happiness. Serotonin levels actually increase when we see something sunny. And blue? It’s the favored color by men (at least when not on the prowl) and some studies suggest it helps weight lifters bench more ( I think there may be some connection here, guys.) But all joking aside, blue is a great color with which to surround yourself, especially if your endeavors lean toward the right brain. From lapis lazuli to turquoise, the peaceful hue bolsters creativity – a boon to any writer – and it also symbolizes calm. So, the next time you’re tempted to throw you’re manuscript across the room shouting, “It’s certifiable crap!” maybe you’ll take breather instead. Or maybe that’s just me . . .
I’m revamping my home office right now with this theory of tranquility in mind. Currently the walls are taupe – as insisted by my ever practical husband – the floor is neutral, and the old wooden desk in the corner is a dull, scuffed brown. 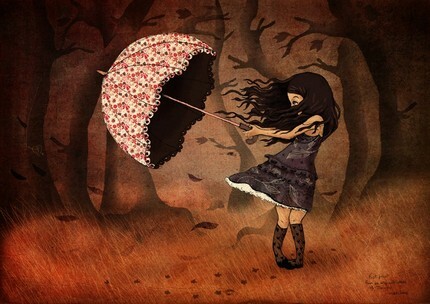 It hardly inspires my imagination, much less that zen feeling I seek. So, what’s a colorful girl to do in a blah world? Paint. Ha. Given my track record of painting my old bedroom some five or so times, you can see my reticence. So I’m all about the decor. Painting the desk? Check. Painting some blue artwork? Oh yeah. And the more I search, the more I find. I’m loving this stunningly beautiful peacock hue. In fact, I’d like to splash that blue color all over the room. 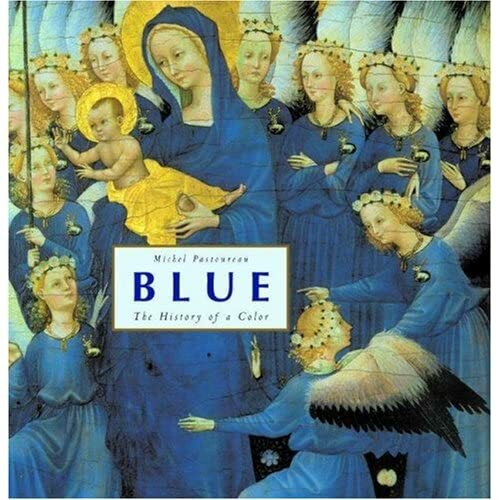 And if that’s not enough, I can peruse this wonderful book, Blue: The History of a Color, something I will have to add to my all blue bookshelf. Tell me what you think. 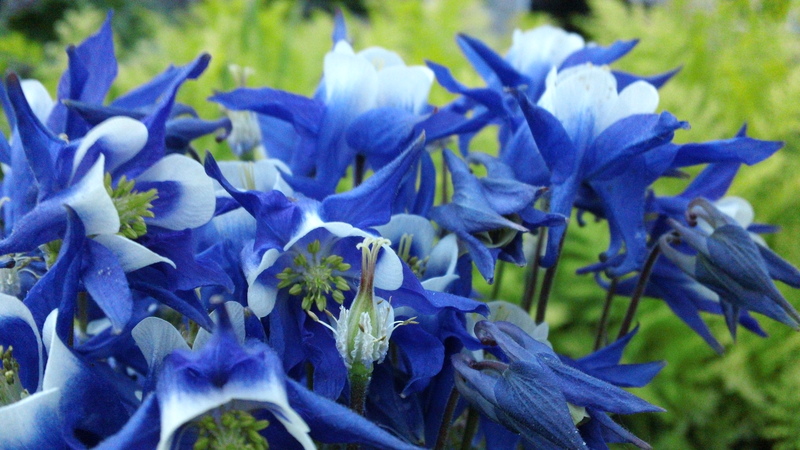 Do you have a blue obsession you’d like to share? Or better yet, a blue room? If not, perhaps you’ll want to get inspired. Head over to House of Turquoise and indulge. The collection of blue rooms on that blog is incredible.